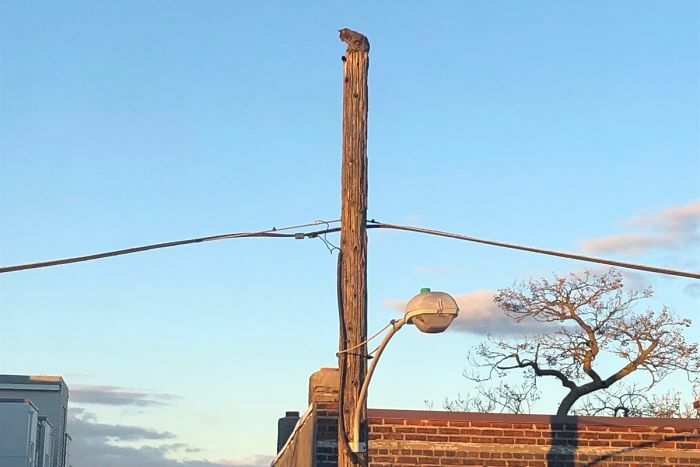 The cat owners were distraught and said they had attempted to contact the animal rescue, the fire department, and other organizations for help but had been unsuccessful. 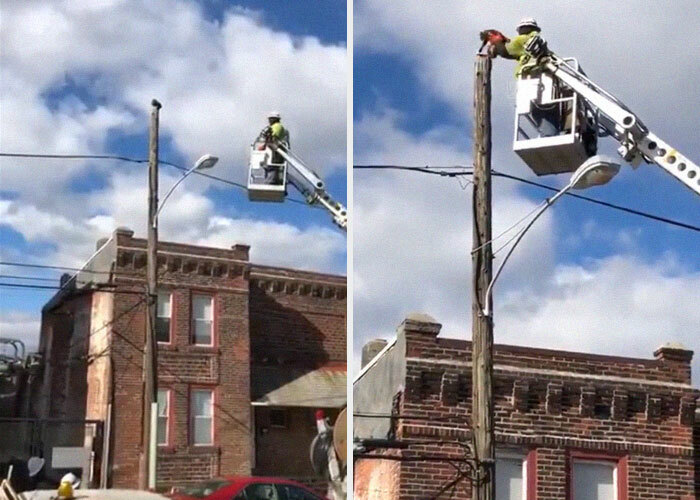 Thankfully for them, German accepted the challenge and was recorded in a video from CBS Philly reporter Steve Lindsay, rescuing the animal with the help of his company equipment. 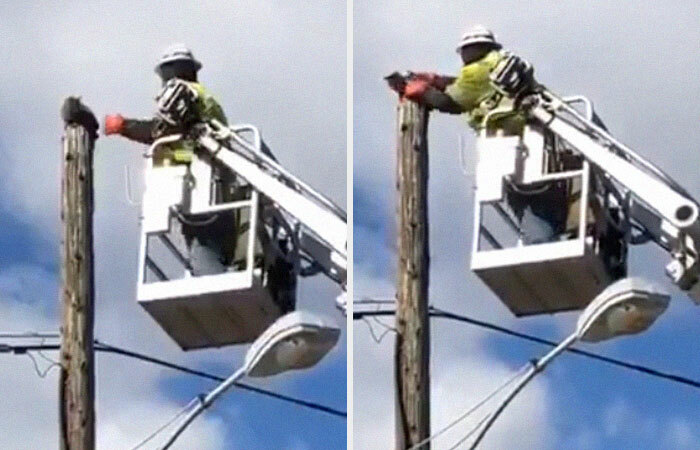 Well, it turns out that Verizon does not have a soft spot for kitty rescue videos and responded by suspending the worker. In response to his suspension, the internet has rallied around German in a truly heartwarming way. 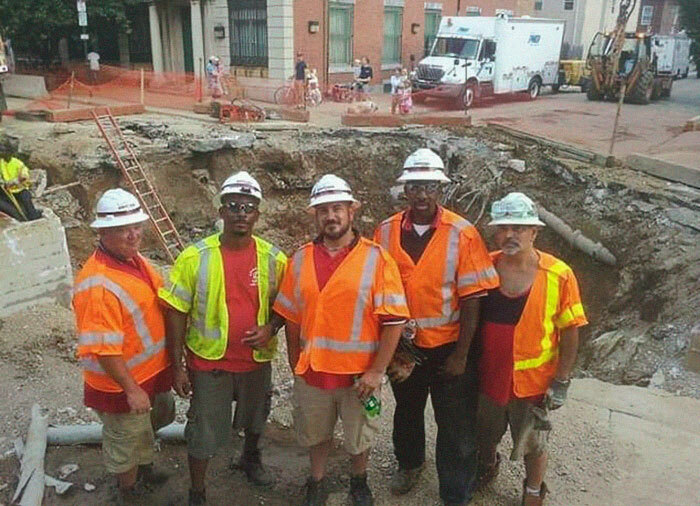 Boyce said told CBS that the cat got stuck at around 10:30 pm on a Friday. 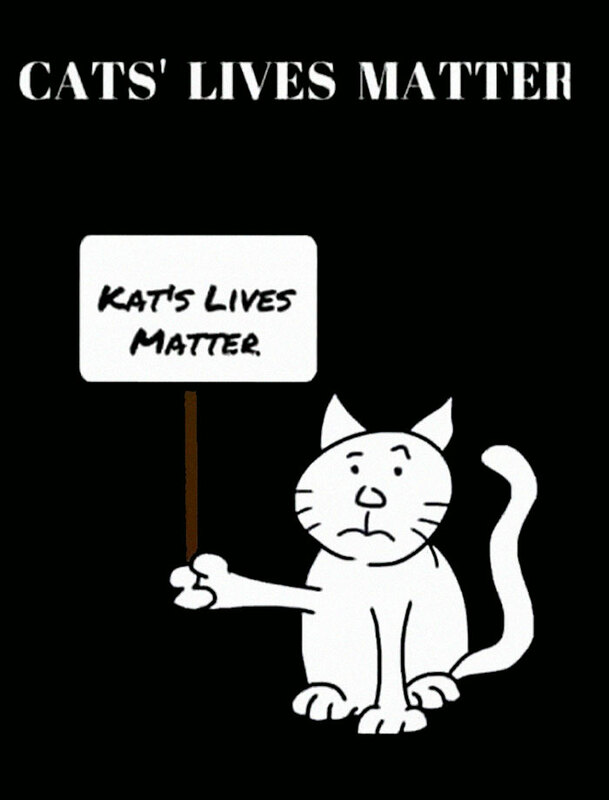 She and her neighbors had tried to rescue the cat themselves at first before calling for some outside help. 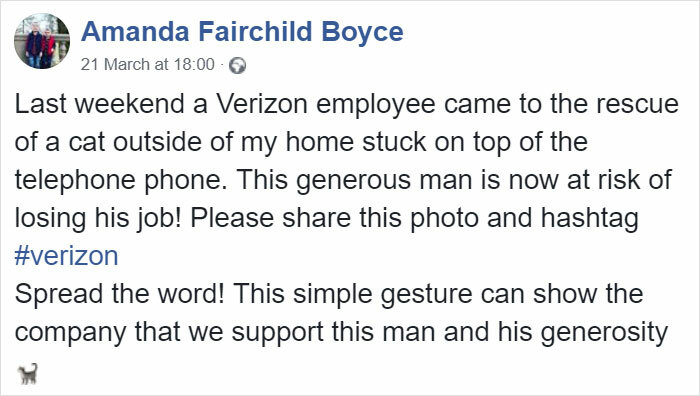 One of Boyce’s neighbors Sandy McLeish, an animal activist, was the one to find the Verizon worker, who agreed to help them with their rescue mission. 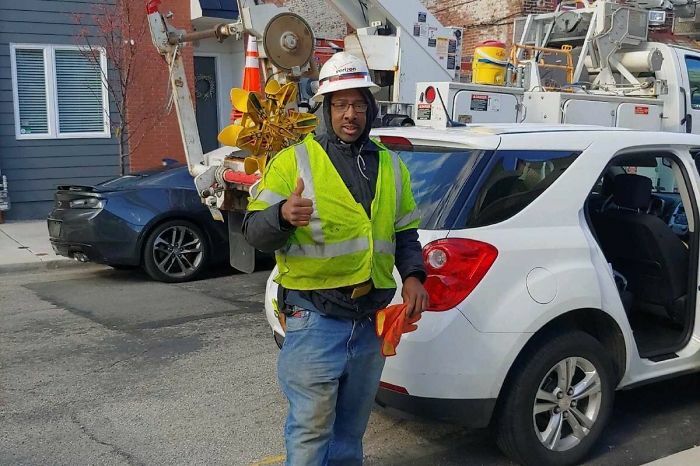 In response to Verizon’s suspension, Boyce put the company on blast with an online post and asked people to spread the word of his generosity across the internet in support. The donations exceeded the goal by Sunday and raised close to $3,000. 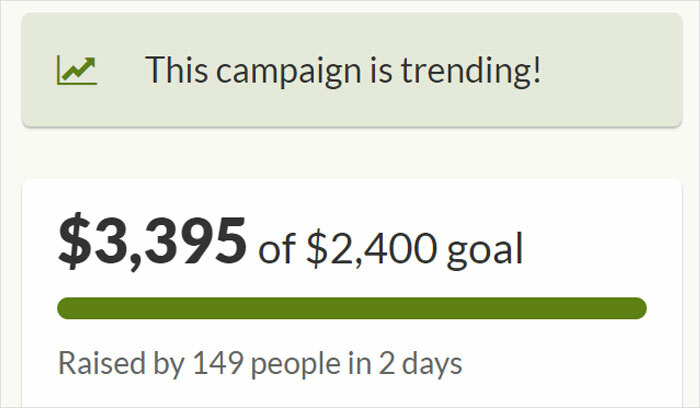 People touched by the story have continued to contribute to the cause and the donation number continues to go up.